Join us at the Monroe Library during the town’s Vino, Vintage and Victory festival on April 27th. 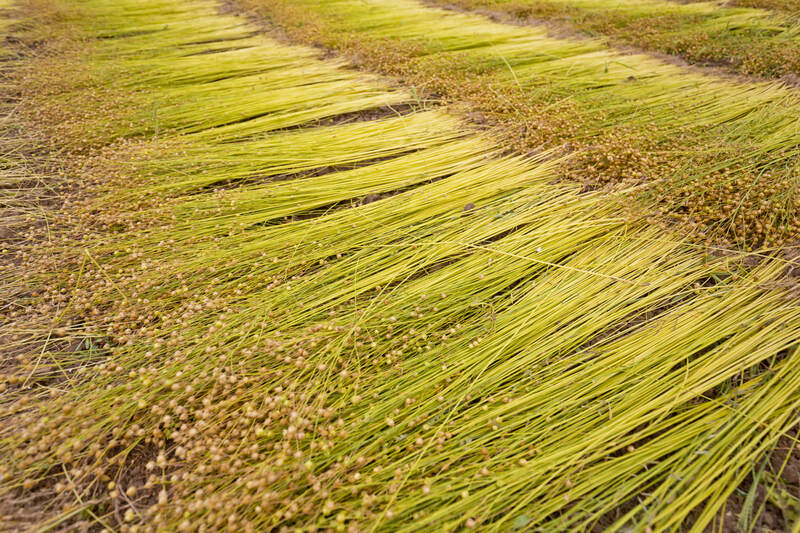 We are bringing our retted flax, hand tools and fiber samples for an afternoon of traditional flax fiber processing. 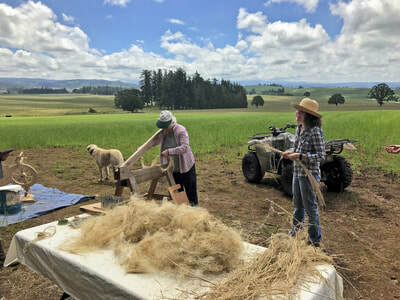 We would like to invite you to the annual flax (linen) harvest with Fibrevolution, revitalizing fiber production in the PNW! 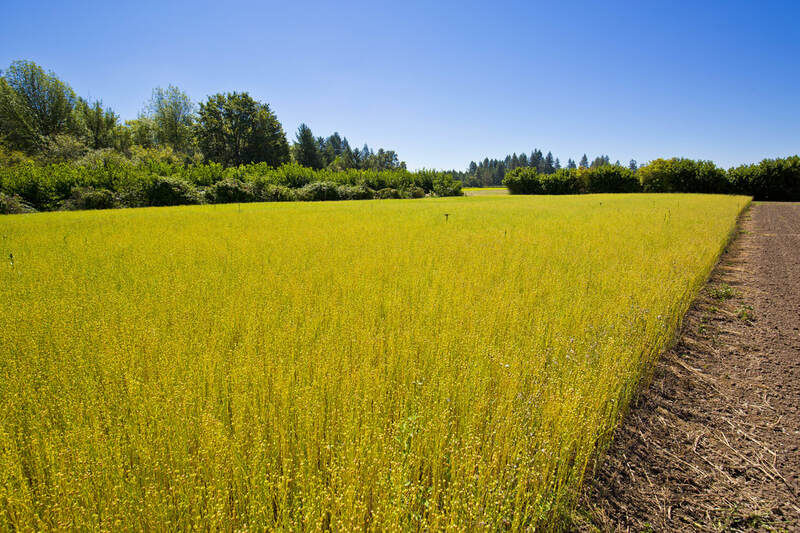 Best to bring a water bottle, snack if needed, sun hat, weather appropriate clothing and garden gloves. 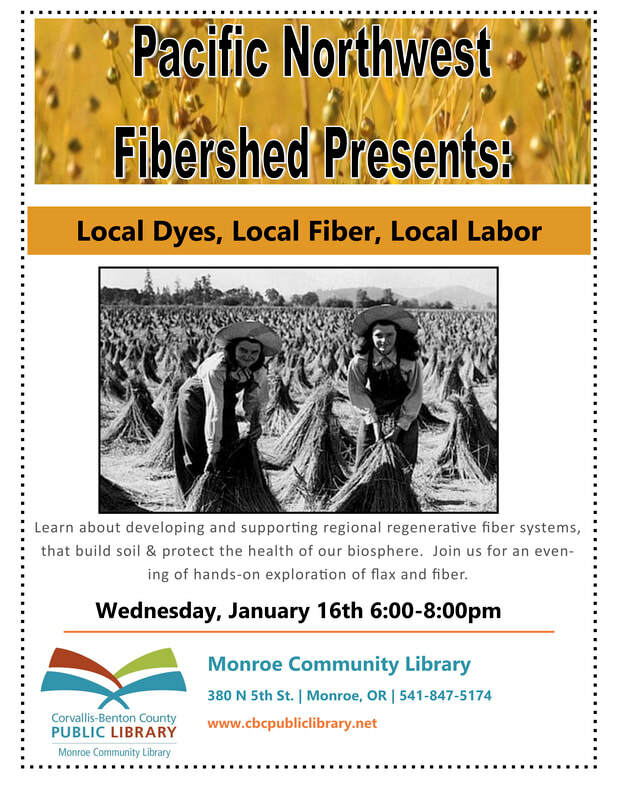 Also bring friends! 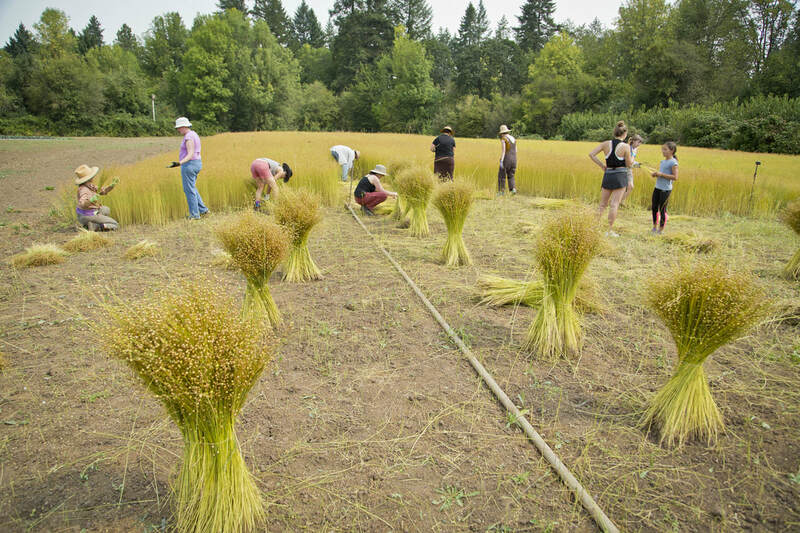 Work involves hand harvesting flax with your community of fellow fiber fans. 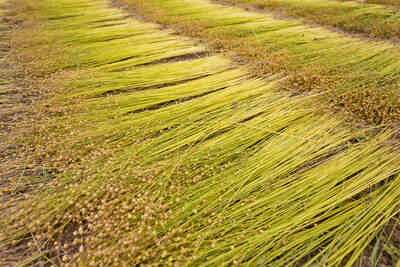 This year, the flax will be laid in windrows for field retting. 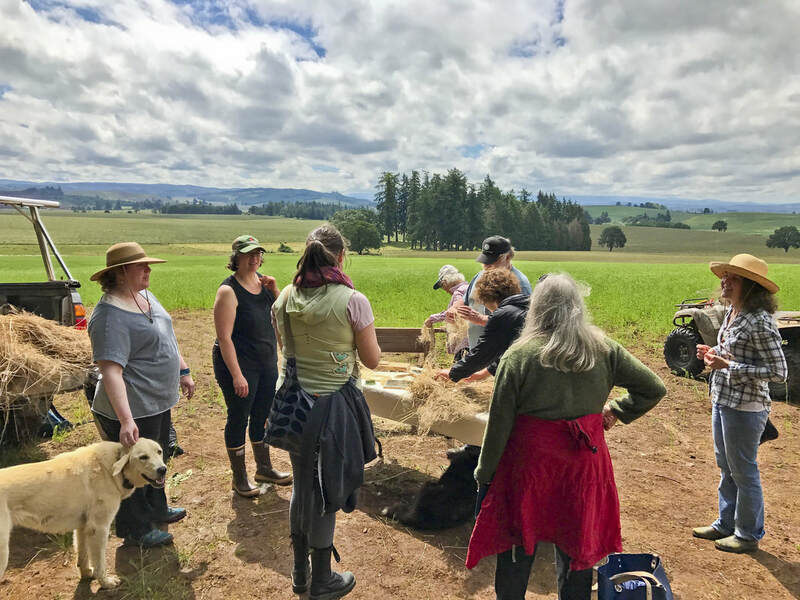 We look forward to seeing you in the field! 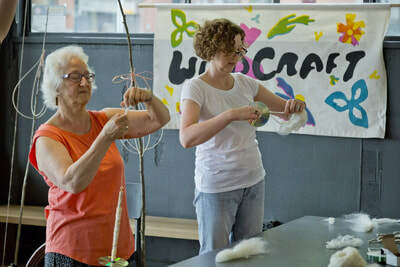 Fibrevolution is gathering and seeking volunteers for our annual community flax harvest. 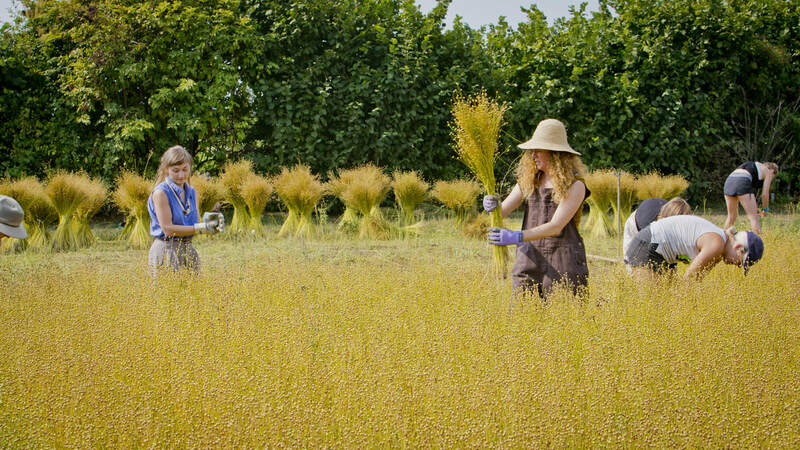 Please join us on Sunday August 27th at 10 AM to harvest our organic flax at the Lewis Brown Farm. 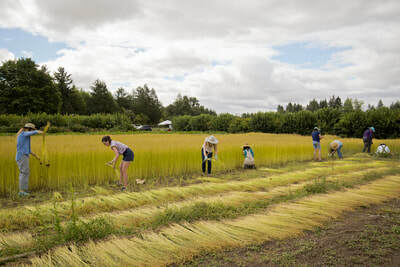 The OSU Department of Horticulture operates this 115 acre farm, which is just east of Corvallis. 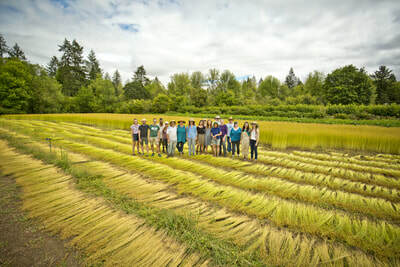 Plantings and field laboratories at this location are used in field plot research work. With this crop we will be conducting field retting research, fiber quality analysis, and fiber flax seed grow out, with the mission of producing linen yarn and cloth. 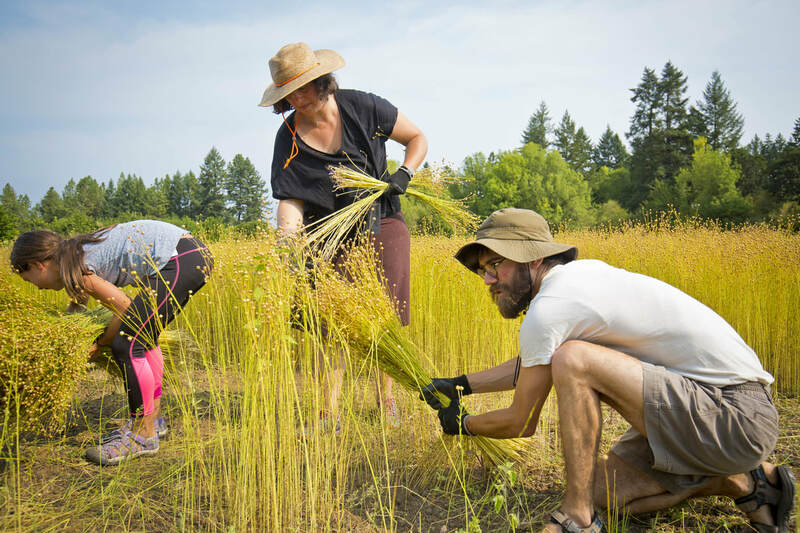 If you are interested in volunteering to harvest, please email skaiwelsh@gmail.com ​for details. Come experience the beauty of fiber flax fields in bloom. 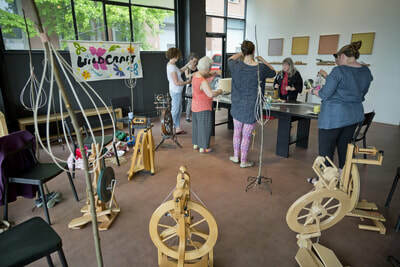 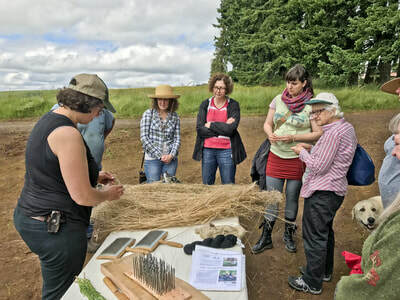 This spring, Fibrevolution will be growing fiber flax in the Willamette Valley of Oregon, and leading this 2 day workshop. 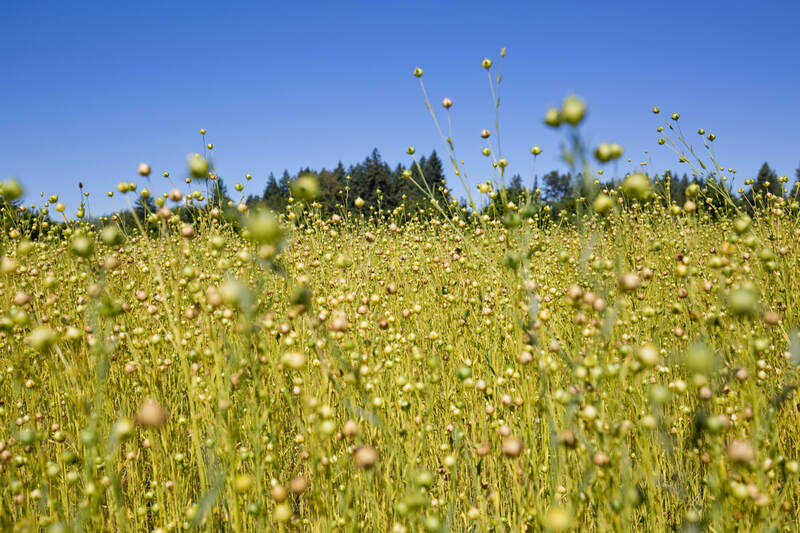 On day-one, students will have the opportunity to visit a Willamette Valley farm and tour a flax field. 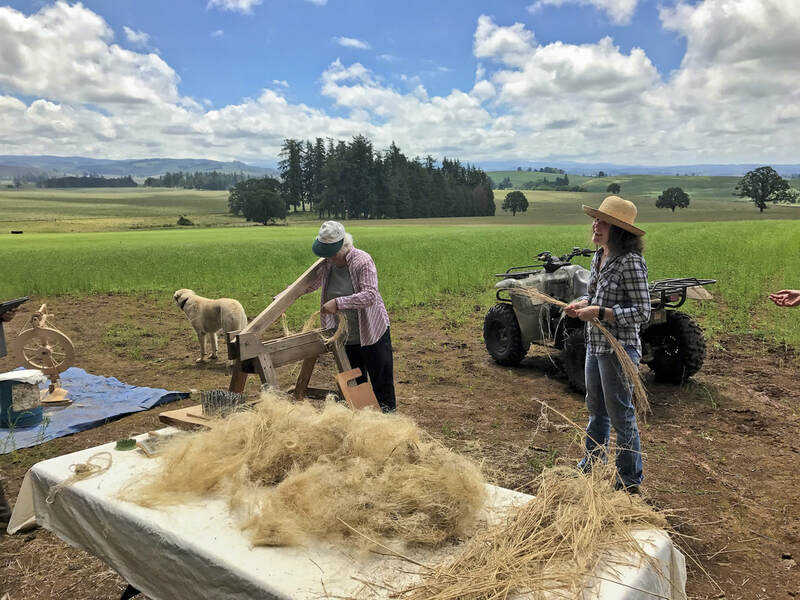 Shannon Welsh and Angela Wartes-Kahl will guide a hands-on exploration of the farm, with a demonstration on how to hand-process flax straw into a flax strick. 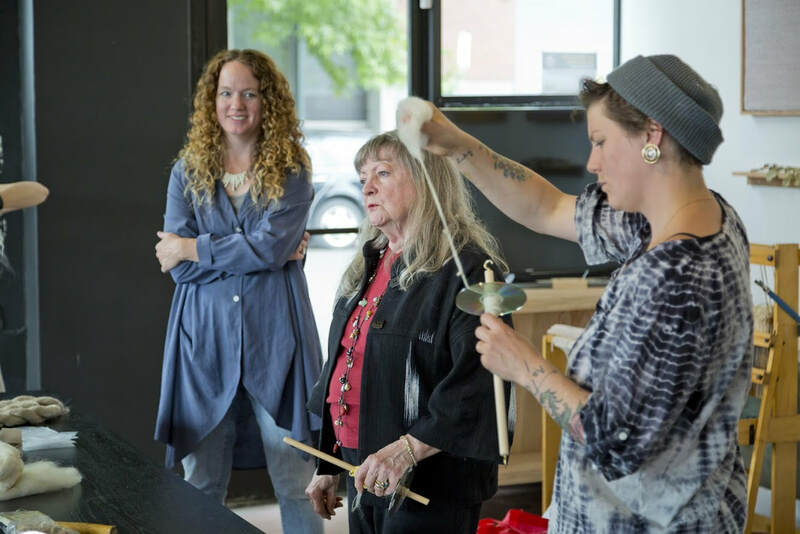 On day-two, master weaver and spinner Diane McKinnon will teach us how to make and dress a flax distaff, as well as how to spin fiber flax into linen yarn.